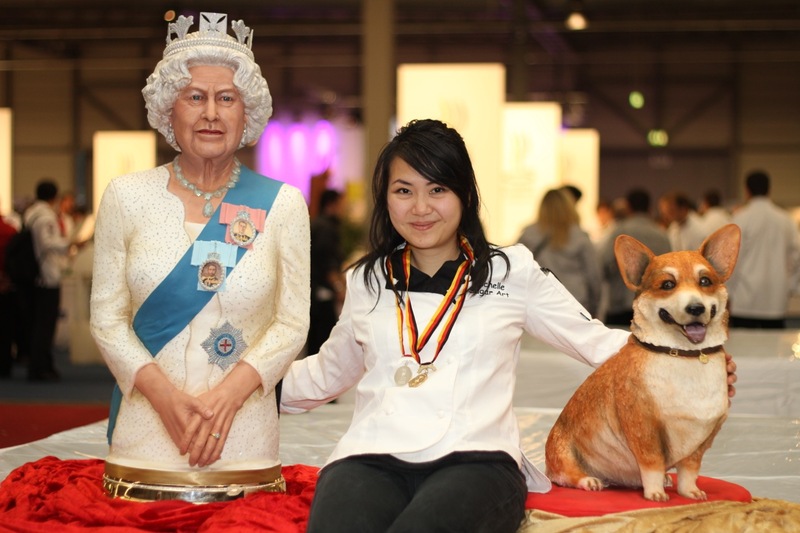 Michelle Wibowo, a sussex cake maker has been awarded a gold and silver medal for her creation at the culinary olympics in Erfurt, Central Germany which opens on Saturday 6th October 2012.
and sculpted welsh corgi dog english fruit cake for a silver in Culinary artistry - cold food. It took Ms Wibowo 2 weeks to prepare and both creations have consumed more than 25 kg sugar paste (fondant). 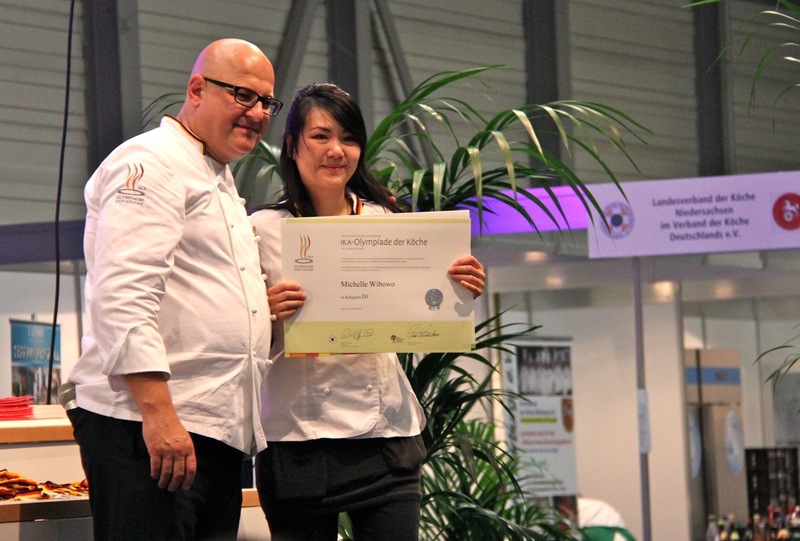 The International Exhibition of Culinary Art (in German: Internationale Kochkunst Ausstellung or IKA) termed the Culinary Olympics, is a quadrennial chef competition, and the biggest culinary exhibition in the world. Participants from 54 nations are competing from 6th-9th October in Erfurt, Germany. Michelle is a cake artist based in Burgess Hill, Sussex. 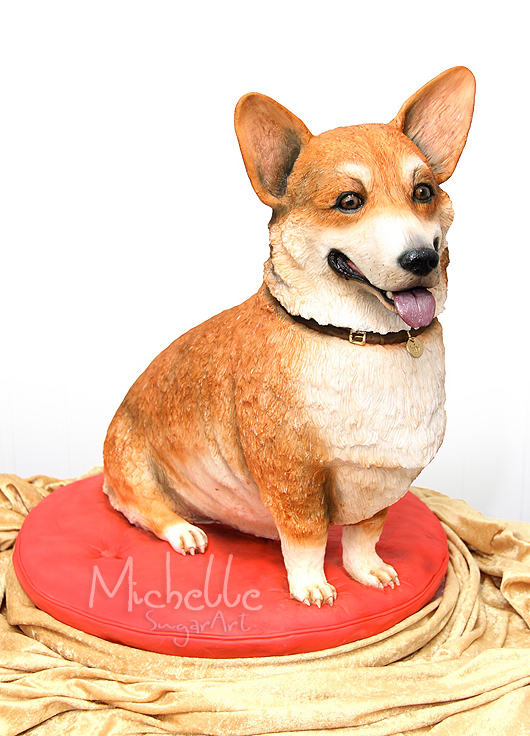 She runs a small business called Michelle Sugar Art Ltd specialising in sculpted cakes and sugar sculpture. 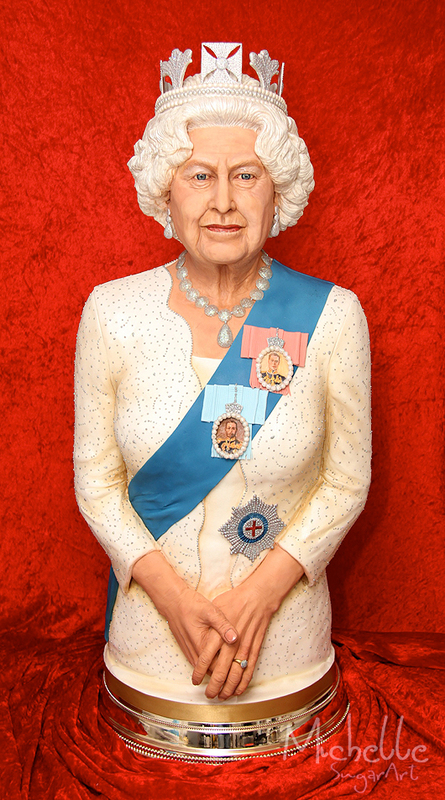 This strikingly lifelike figure is hand sculpted from sugar paste (fondant), decorated with icing sugar and then applied food colouring to the surface. Wooden armature, polystyrene, aluminium and copper pipes are used to provide support and skeleton. English fruit cake carved, coated and hand sculpted with marzipan and sugar paste (fondant). Texture applied to the surface and then coloured using food colouring. Wooden structure and aluminium core at the base is used to provide support. Michelle Sugar Art featured in Sunday Brunch from Michelle Wibowo on Vimeo. 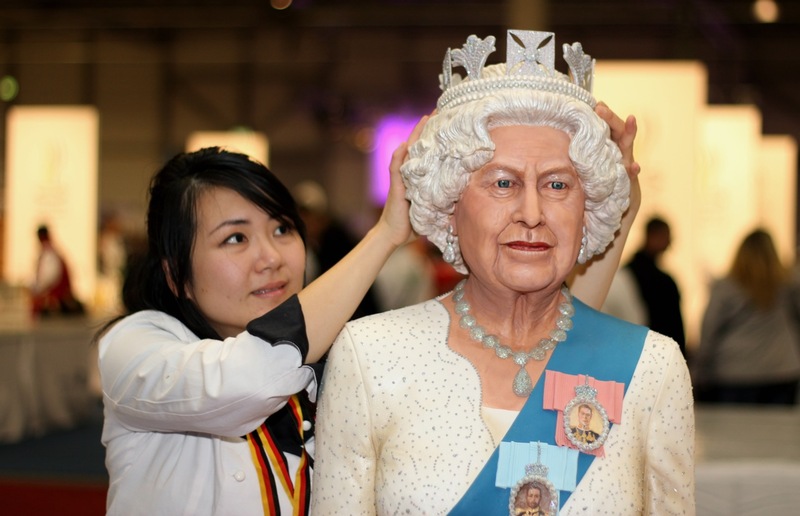 Sugar art Queen from ITV Meridian on Vimeo. Congratulations Michelle! Your work is amazing! And you are truely talented!! Awesome work!! This is the most amazing cake I have ever seen! Congrats! !